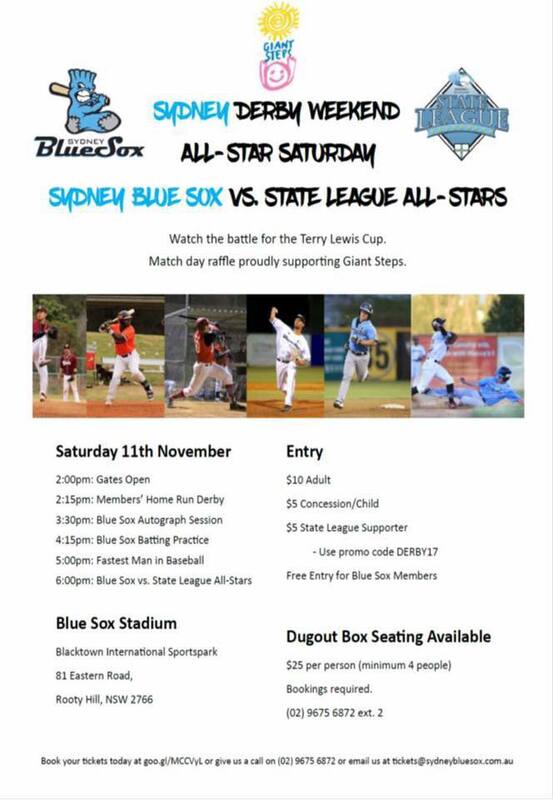 Congratulations are in order to 1st Grade players Nathan Skinner and Caleb Shepherd who have been selected to play the the Bluesox v Allstars game on Saturday 11th November. Well done guys! No Replies to "State League All-Stars vs Sydney Blue Sox"